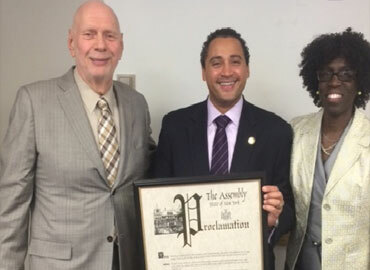 On October 7, 2015, Assembly Member Robert J. Rodriguez commemorated the culturally responsible health care contributions that Harlem East Life Plan (HELP) has made in the East Harlem community, by presenting Stuart R. Steiner, President, with a proclamation on behalf of The New York State Assembly. 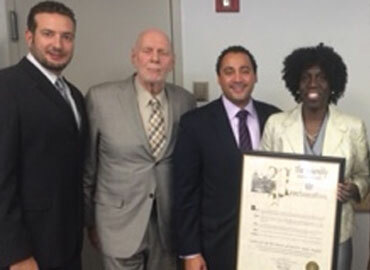 Since 1976, Harlem East Life Plan has responsibly administered a wide variety of high quality primary care and behavioral health services. This therapeutic treatment addresses substance abuse disorders and mental health wellness, physical health wellness and issues essentially needed to live a healthy life. 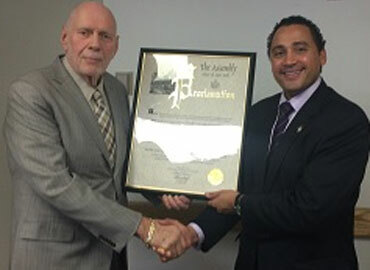 Upon receipt of the prestigious award, Mr. Steiner thanked Assembly Member Rodriguez and the New York State Assembly for their understanding and recognition of HELP’s commitment to the East Harlem neighborhoods and expressed appreciation to Ms. Joanne King, Administrative Director, and the administrative unit; stating that “a successful operation is only as good as it’s administrative and management team”.